Bad Moon Books have this week announced a brand new release from the eco-horror overlord Joseph D’Lacey. Snake Eyes will be launched in the New Year and is available for pre-order now. 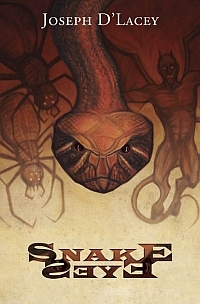 Snake Eyes is a collection of two brand new novellas from the author of Meat. The first of these two stories is called A Trespasser in Long Lofting and involves an isolated, starving community that sees something enormous and red crash land. The villagers are torn – is it possible to eat what has landed or is it a vile demon that must be destroyed? More to the point what are their other options? The second novella is A Man of Will and Experience and features Robert Johnson, an ordinary man who wakes up with a tube in his head, although apparently he is the only one that is aware of this! 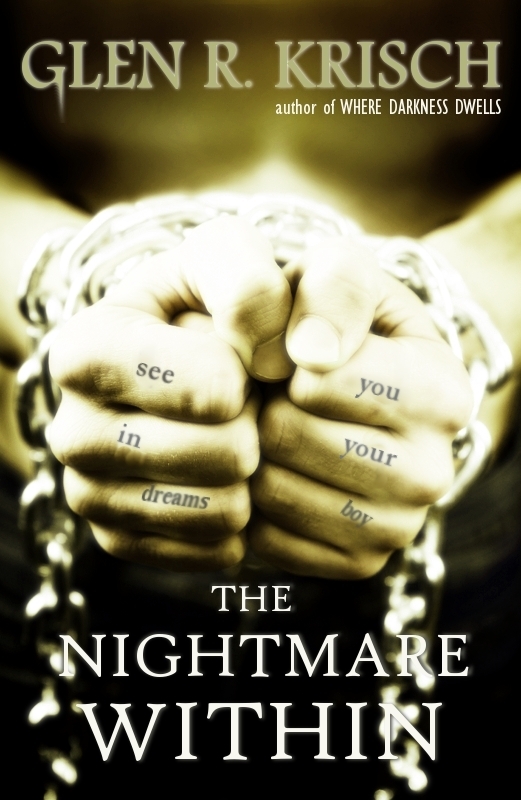 His world begins to unravel in a paranoid delusion as he battles with unseen forces for control of his life. D’Lacey has not released a book for over two years so this announcement is brilliant news for fans of his quirky take on sci-fi, horror and everything in-between. 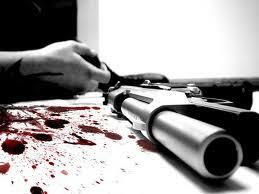 Be sure to check Read Horror soon for more special Joseph D’Lacey news. 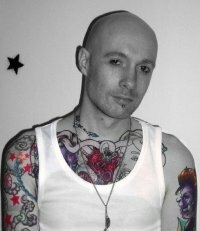 Hook up with Joseph D’Lacey over on Twitter, or on Joseph D’Lacey’s Facebook page. If you enjoyed our Joseph D’Lacey news story and want to read his fiction, please consider clicking through to our Amazon Affiliate links and purchasing a new book today. If you do you’ll help keep the Read Horror ship afloat with some very welcome remuneration. I’ll admit, watching Emma West’s recent notorious rant on the Croydon tram took me back to an episode in my life that had some of the same trappings, albeit a decidedly different end result. Come back with me, dear reader, to the summer of 1984 in suburban Pennsylvania, USA. Not to date myself, but I was in my 11th year and just passing time, not all that enamoured with my surroundings. See, I was fortunate enough to grow up outside the big city maelstrom into which I’d eventually fling myself with salacious abandon, but unfortunate enough to be surrounded by – how can I put it delicately? To me, horror is all about strong emotion, usually of the dark variety. Something in that speaks to me, to my very core. 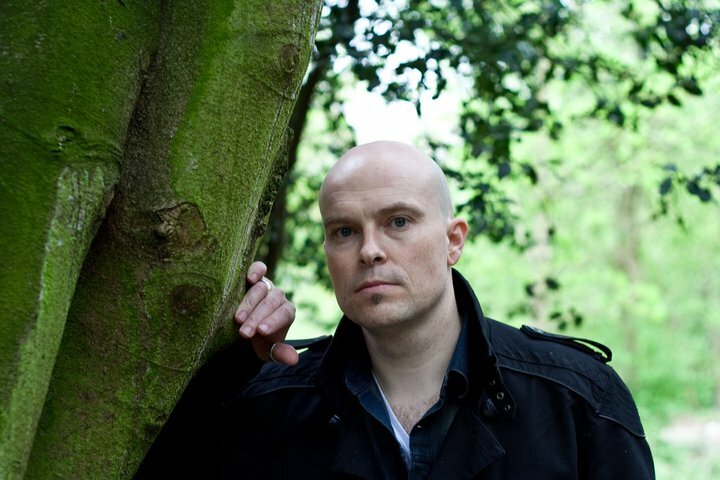 Adam Nevill – author of Banquet for the Damned, Apartment 16 and The Ritual – speaks on The Ritual, book deals, Paranormal Activity and more in part two of our three part interview. 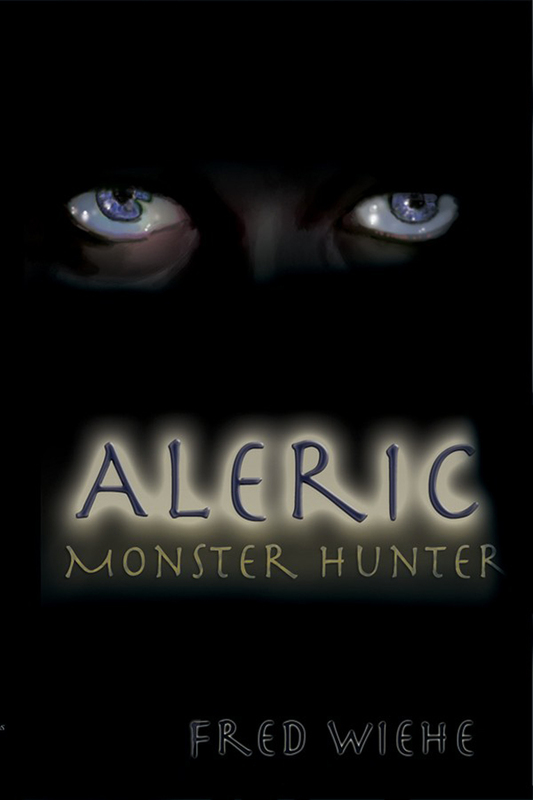 Fred Wiehe’s latest novel Aleric: Monster Hunter is an ambitious book that ties fast paced action into well-researched gypsy custom. The story focuses on Aleric Bimbai, a two hundred year old bounty hunter and gun for hire. He remains true to his gypsy roots, living outside the boundaries of conventional society and accepting dangerous missions that are presented to him. Good news continues to come in for Wayne Simmons fans, in addition to the special edition books announced last week; we now have exciting news about brand new releases from the zombie master. Wayne has announced that Fever, the follow up to his excellent tome Flu, will be available in February 2012 and a full launch is expected to take place at Cardiff Comic Expo 2012. In addition, Wayne has announced that Doll Parts, a book on hold since 2009 and the long-awaited sequel to Drop Dead Gorgeous, will be released in March 2012. If that isn’t enough for Wayne’s fans, he is also pleased to announce that Morpheus Tales have published his story from the Flu world, Mary’s Boy Child in their special Christmas issue which is available to download for free now. If you enjoyed our Wayne Simmons news story and want to read his fiction, please consider clicking through to our Amazon Affiliate links and purchasing a new book today. 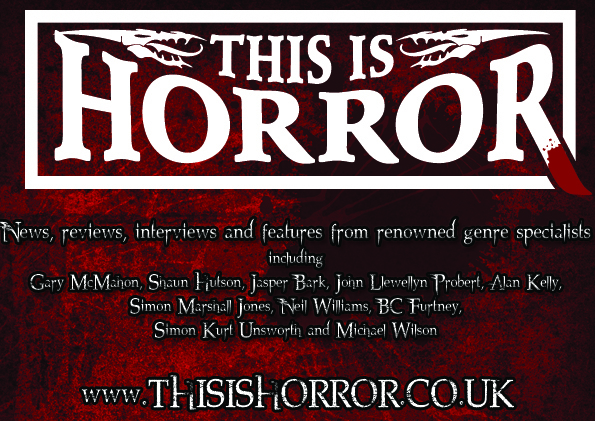 If you do you’ll help keep the Read Horror ship afloat with some very welcome remuneration.